Your activation code is now linked to your ManyCam account. This is a paid upgrade option. Only ManyCam 4 Mac and ManyCam 5 Win Activation Codes are eligible for this upgrade. 1. Make sure your Activation Code is linked to your ManyCam account. 3. Log into your ManyCam account once prompted. Make sure your Activation Code is linked to this account. 4. Choose an upgrade option and proceed with the purchase by clicking BUY NOW. In case you receive this error message when linking your Activation Code, most likely, you have another ManyCam account with this license (Activation Code) already linked to it. To resolve the issue, we recommend looking for other ManyCam accounts you might have. In case you don’t recall any other ManyCam accounts, please contact our Support Team. Please don’t forget to include your Activation Code in your support request. 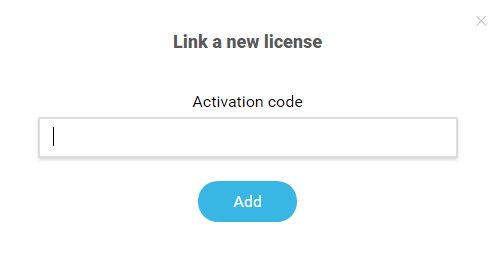 Why convert my license (activation code) into a subscription? Not the solution you were looking for? © Copyright 2019 Visicom Media Inc.